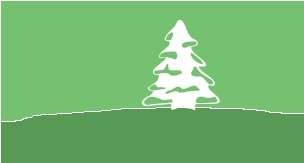 We are a family owned and operated Choose and Cut Your Own Christmas Tree Farm on 33 acres. We have been in business since 1975. EVERYDAY UNTIL CHRISTMAS 9:00 A.M. TO 4:30 P.M.
You will be able to choose your family Christmas tree from our selection of Fir trees. Our farm offers a heated barn with a restroom, complimentary cocoa and cider to sip as you browse our selection of fresh wreaths, garland and a few center pieces - all made fresh at our farm! For the season of 2017 we will resume our flocking of Fir trees and wreaths. Our friendly and talented staff will also decorate a wreath of your choosing in colors to compliment your home. Having owned and operated this Choose and Cut Your Own Tree farm since 1975, we have developed many specialty decorated wreaths in an array of colors. Call ahead to order your special holiday decorations or pick from our selection in our heated barn.